Solar accent lighting. Stainless steel. . . . Solar accent lighting. Black plastic. . . . Solar accent lighting. . . . . Designed to illuminate gardens pathways and entryways. . . . . Mounts on flat surface. Magnifying design makes it easy to view from a distance. Made in the usa. . . The worlds most popular brand of thermometers. Larger readout. 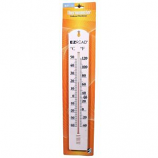 Add beauty and color with great high resolution photographs inlaid on our thermometers. Photos are placed with special uv resistance to help keep their color and brilliance. .
Easy to read. Easily mounts in ground or on fence. Debris guard funnel. . . The worlds most popular brand of thermometers. Larger readout. Easy to mount. . . The worlds most popular brand of thermometers. 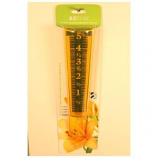 Amber colored rain gauge for those with difficulties reading on clear surfaces. 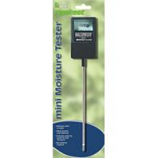 Designed to magnify the measurements when filled with water.. . . The worlds most popular brand of thermometers. Larger readout. . . . The worlds most popular brand of thermometers. 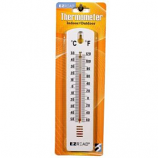 Allows for 360 degree viewing with a simple rotation of the thermometer. Mounting bracket included. . . The worlds most popular brand of thermometers. Celsius and fahrenheit scales. Bold markings. 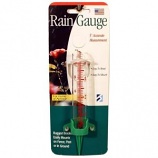 Easy to mount. .
A rugged basic rain gauge that can be staked into the ground or mounted onto a fence. Made in the usa. . . .
Vintage Indoor/Outdoor use. Displays temp in degree F and C. Easy to read freezing symbol and easy to read numbers. Weather resistant. Easy to mount. The worlds most popular brand of thermometers. Comes with a bracket that allows for 360 degree viewing. . . .
Indoor/Outdoor use. Displays temp in degree Fehrenheit. Easy to read freezing symbol and easy to read numbers. Weather resistant. .
Indoor/Outdoor use. Displays temp in degree F and C. Weather resistant. Easy to read. Easy to mount. Heavy duty metal construction in antique aluminum design. Displays temp in degree F and C. Easy to read freezing symbol and easy to read numbers. Weather resistant. . 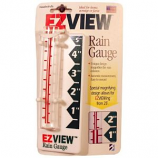 Measures one-hundredth up to 6 inches of rain. Easy to mount. Easy to read. Clear Markings. . The worlds most popular brand of thermometers. Attaches with suction cup to any smooth surface. Dual mounting. . . Antique brass metal dial thermometer and hygrometer. Fahrenheit scale only -40 degrees to 120 degrees. Comes with metal mounting bracket. . .
Indoor/Outdoor use. Displays temp in degree Fehrenheit. Weatherproof. Easy to read. Easy to mount. 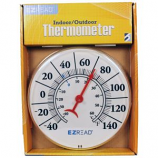 Indoor/Outdoor thermometer. Shows temperature wind speed wind direction and includes wind chill chart. Rain gauge and show total rain. . . 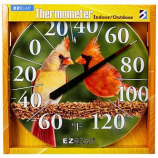 Displays inside and outside temperature as well as 12/24 hour clock. 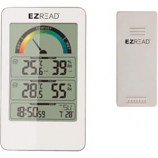 Digital readout unit comes with built in stand for easy setup anywhere in your home or office. Transmission range up to 100+ feet. . .
Large Digital Clock readout for EZ reading. 12/24 Hour Digital Time Display with Calendar and Day of Week Feature. Radio Controlled Clock (RCC Option). Includes daily alarms with an automatic snooze function between 5-30 minutes. Transmission range up to 100+ feet. Large readout for EZ reading. Displays inside and outside temperature as well as 12/24 hr clock. Digital readout unit comes with built in stand for easy setup anywhere in your home or office. Transmission range up to 100+ feet. .